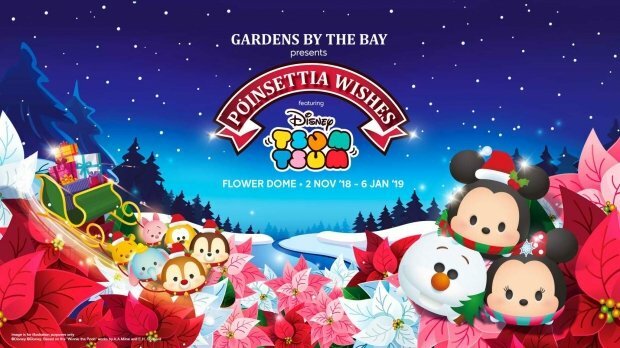 Pixie dust fills the air as Disney Tsum Tsum brings a touch of magic to the Christmas floral display at Gardens by the Bay. It's time to get the fairy lights and festive baubles ready as Mickey and his Tsum Tsum pals stack up to decorate the tallest live Christmas tree in Flower Dome. In this special "Poinsettia Wishes Featuring Disney Tsum Tsum" floral display, Olaf feels right at home amidst a snowy landscape of poinsettias, Christmas berries and holly, while Dumbo prepares to take flight with a sled filled with presents. Come celebrate the holidays with your favourite Tsum Tsum pals amidst the festive landscape! Promotion is valid till 6 January 2019. 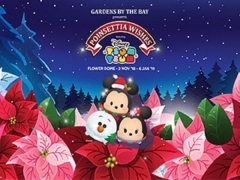 Promotion is valid only at Garden's by the Bay's Bayfront & Canopy Ticketing booths. Promotion is not valid for Online Ticket purchases. Payment must be made with OCBC Credit / Debit cards. Each OCBC Credit / Debit Cardholder can buy up to 4 discounted Singapore resident admission tickets, per transaction. Proof of residence is required upon purchase of the Conservatory Singapore Resident admission tickets or upon admission to the Conservatory. Singapore Residents refer to Singapore Citizens, Permanent Residents and holders of valid Work Permit, Employment Pass or Dependent Pass. Promotion is valid to the prevailing published Singapore Resident admission rates to One or Two Conservatories. Promotion does not include OCBC Skyway and Garden Cruiser (Audio Tour & Shuttle Service). Singapore Resident Child admission ticket is valid for child aged 3 to 12 years old. 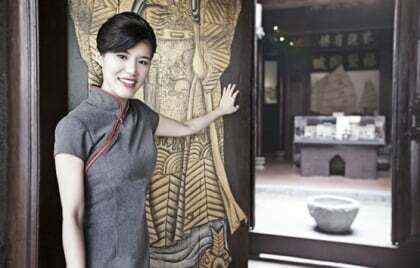 Singapore Resident Senior Citizen admission ticket is valid for adult aged 60 years old and above. No claims will be entertained for any lost torn, defaced or expired tickets.